A review of HBO's new sitcom "Crashing." 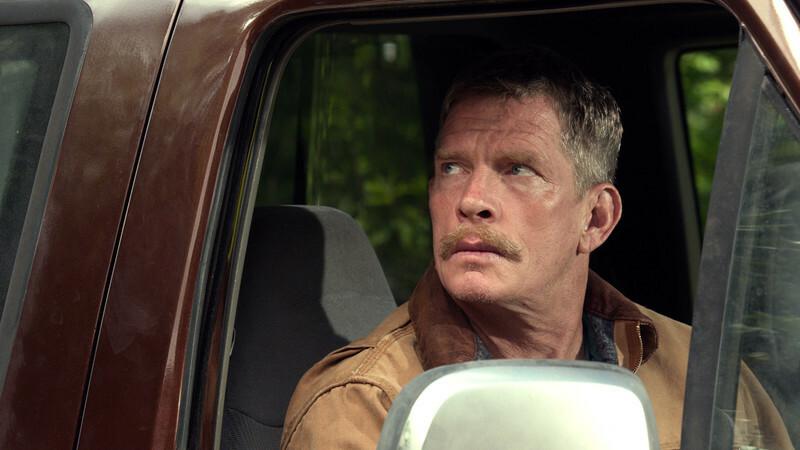 Interview: Thomas Haden Church on "Max," "Killer Joe"
An interview with Thomas Haden Church, star of "Max." The plot in "Face/Off" (1997) may sound ridiculous in real life terms but allowing our imaginations to experience and accept such preposterous events, the kind none of us will ever be able to live through, is a prime example of the great feats that cinema can achieve. And what a fantastic concept "Face/Off" had to begin with. There have been recent features where I've had a hard time grasping how boardrooms full of film executives could possibly green light the spending of millions of dollars when being pitched ideas that no filmmaker, however talented, could ever have succeeded with ("A man cures his depression by talking to a puppet beaver!" "A young archer princess grows closer to her mother when a witch turns her into a bear!"). "The Insider" is one of Michael Mann's best films and it represents a departure from the usual themes. One constant in his other movies is the imposing, menacing but sympathetic villain figure. They may all be capable of great violence but the tragic side of their stories helps the audience identify. In contrast, "The Insider" gives us something completely different: a faceless and unsympathetic enemy that bends the will of those who get in its way without the need of doing anything particularly spectacular or even executing it on-screen: a villain aware that the fear of losing something like health insurance may be enough to shut its victims up. Its power comes from the income provided by the countless smokers unable to quit its product and its most important goal is to make sure that they never do. An indie director asks: Is the whole thing a Kafkaesque nightmare? PASADENA, Calif.--The existentialist hero wonders if life is worth living. The ironic hero is greatly amused by people who wonder about things like that. And there you have the difference between the work of Paul Schrader and Quentin Tarantino, who have had more of an influence over the writing of movies than anyone else in the last 25 years.